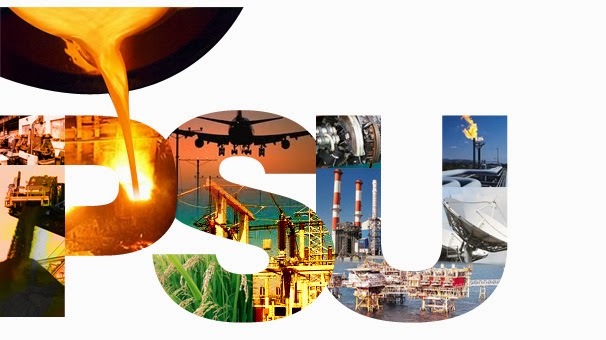 SUPPORTING the cause of ailing PSUs, a Parliamentary panel has suggested the government to exercise caution in strategic divestment and shutting down sick public sector units. The panel has asked he government to provide reasonable and financially prudent chances for their revival. always prudent to keep in mind that Central Public Sector Enterprises (CPSEs) are also meant to serve certain larger social causes. Referring to 100-per cent disinvestment of Hindustan Newsprint Ltd (HNL), it said the decision was taken despite the dissent of the Department of Heavy Industries. "Taking this case as a cue, the committee recommends that the Niti Aayog shall be asked to take a more holistic view in case of decisions regarding CPSEs that may be perceived to have a chance of progressing well with a little help. "This is based on the considered opinion of the committee that CPSEs are still relevant and they may be allowed reasonable and financially prudent chances to revive and restructure," the report said. It noted that the Niti Aayog has recommended strategic disinvestment of five units, transfer to states of four, one for part divestment and two to be considered for later disinvestment. The committee observes that if these recommendations are approved, the department will be left with "very few" CPSEs under its administrative control, it said. In another report on the Department of Public Enterprises (DPE), it said that one of the causes for which the PSUs were envisaged was for equitable economic and social development and it is still relevant to India and it has to be kept in mind along with financial and business prudence while deciding the closure or strategic disinvestment of CPSEs. It says CPSEs should be encouraged to provide permanent employment to people and may be "desisted" from hiring personnel on contract basis. The committee also suggested that DPE being the body in charge of the general policy framework for the enterprises, should conduct a well-organised comprehensive research study to identify the areas of business where these units can successfully/profitably operate and grow. "A policy of public investment in CPSEs can be based on the findings of such a scientific study. This, in the opinion of the committee, should help to ensure that the 76 CPSEs that are being newly set up by the government to operate in a profitable environment and are not doomed to be shut due to extraneous factors," it added. Regarding the revival/restructuring or closure decision of CPSEs, it said along with financial and business considerations, social obligations of the government should also be given equal weightage. "CPSEs can still play a relevant remedial role in rectifying such imbalances," it said adding CPESs should not be allowed to grow into "white elephants eating into the very vitals of valuable resources of the nation taking recourse to the plea that their existence is necessary for addressing social causes". The government has not followed any comprehensive policy vis-à-vis the sick PSUs. According to an answer given by the heavy industries ministry in Parliament, there were 61 sick CPSEs as on March 31, 2013, with over 1.53 lakh employees. Currently, sick PSUs are referred to the Board for Reconstruction of Public Sector Enterprises for revival, restructuring, sale or closure. According to a Government resolution, a company will be considered sick if it has accumulated losses in any financial year equal to 50 per cent or more of its average net worth during the four preceding years.